Imagine in the heat of a battle, you need first hand intel from the front so you know where to send your tanks and troops to plug holes and where air support is needed to pave a path for your column to a strategic rallying point. Of course, I'm talking about playing a RTS game. What did you think I was talking about? Oh, you mean a real war? Well, if a Boeing drone called the SolarEagle works out as planned, this little drone can stay in the air for up to 5 years and provide intel for troops on various war theaters or provide wireless Internet access where I sit safely in my home or a Starbucks. Sure, it's called a drone and its development was commissioned by DARPA but like many technologies developed for the military, they eventually find a way for civilian use. I do hope that the SolarEagle will help us in the fight against extremism wherever our troops are sent but I also do hope to see them deployed for civilian uses as well. More than just wireless access, they can provide law enforcement with some needed air support. Or help in recovery during the aftermaths of natural disasters. I am also sure there are scientific uses as well, much the same way balloons are being used. And it make prove cheaper than using satellites. Well, we're not there yet. 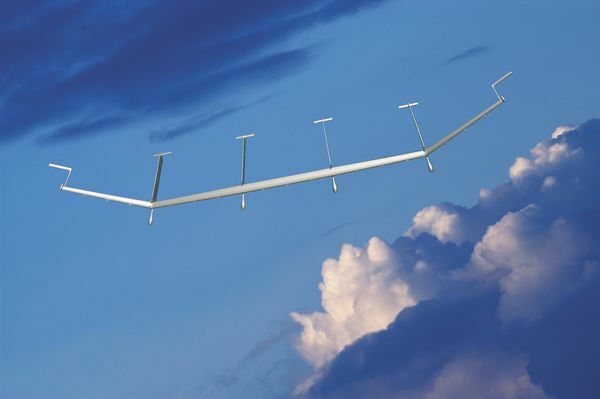 Boeing has a lot of work to do still but I think we are closer than anyone envisions - drones in the skies.